The time has come for the current MINI Clubman to get a mid-cycle refresh, as is the case with all BMW Group cars. The new MINI was unveiled today and includes small design changes both inside and out, following in the footsteps of the MINI Hatch in this regard. 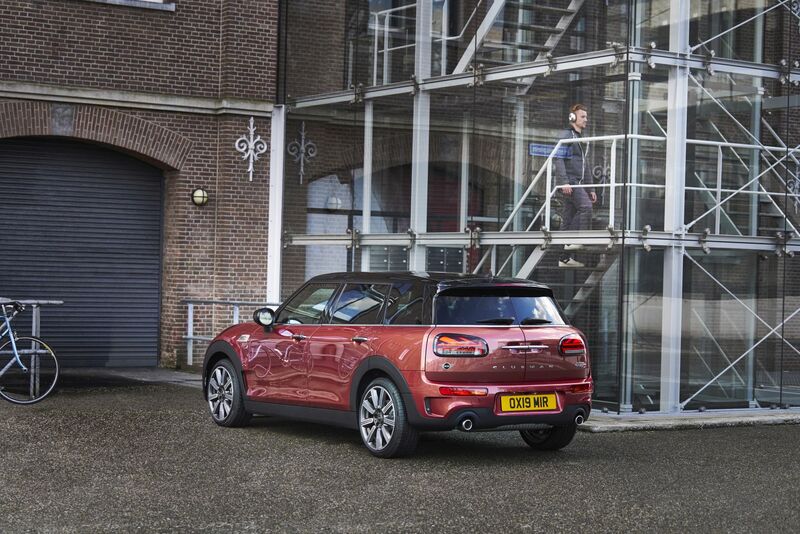 The focus was more on infusing the Clubman with the latest technology and connectivity functions rather than give it a new face. What you may notice, if you squint really hard, is the new front design that includes a newly designed radiator grill. Still at the front you’ll see LED headlights with Matrix function for the high beam and new LED fog lamps that come with a driving light ring. Round the back you’ll notice a new design with the Union Jack motif but you should know that’s an optional feature. 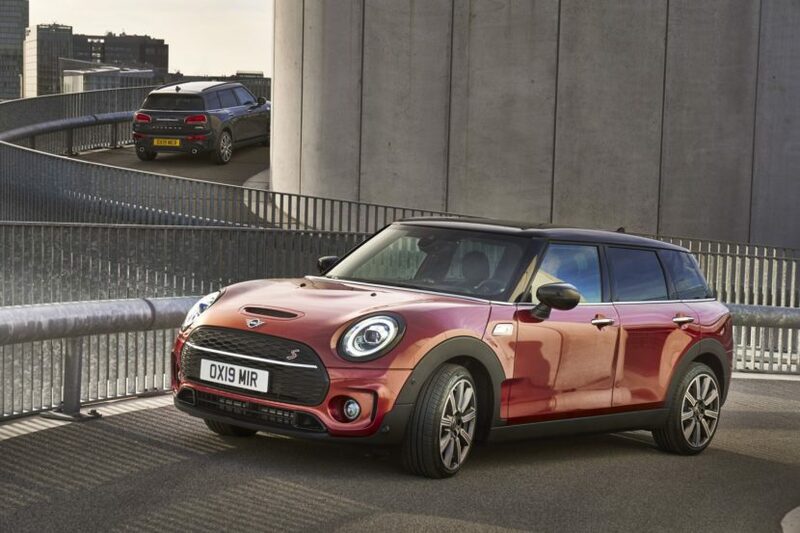 The Clubman also gets new body colors, new light alloy wheels, a sports suspension that will lower the car’s ride height by 10mm, new leather and trims for the interior and new MINI Connected functions. Under the hood, not a lot has changed. Overall you get six engines to choose from and you can get the ALL4 all-wheel drive system as an optional extra. The engine portfolio for the new MINI Clubman includes two 3-cylinder and one 4-cylinder petrol engines along with one 3-cylinder and two 4-cylinder diesel engines. At a later stage the model program will be extended to include the new MINI John Cooper Works Clubman which comes with all-wheel drive as standard. If the standard 6-speed manual gearbox is not to your liking, you can get an optional 7-speed DCT gearbox on the MINI One, the MINI Cooper, the MINI Cooper S and the MINI One D Clubman. The MINI Cooper S Clubman can be fitted with a 7-speed Steptronic gearbox which is faster than what you would get on the other versions. 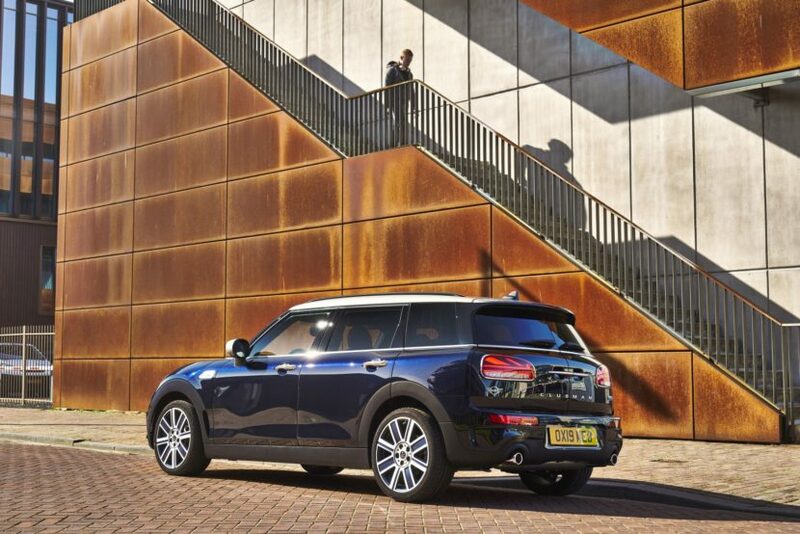 The Cooper D Clubman can be had with an 8-speed gearbox from Aisin while the MINI Cooper S Clubman ALL4, MINI Cooper SD Clubman and the MINI Cooper SD Clubman ALL4 come fitted with it as standard.